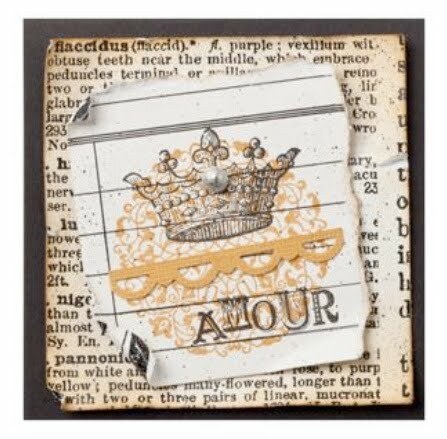 This week's Stampin' Royalty Challenge is "Seeing Doubles" ... it is up to you to interpret that however you want. This whole page started off with the idea of reflecting the word "Remember" to create my double image. From there I started to play. For my Grade Seven's Year End video, I put in a baby picture of each of them followed by a current picture. The audience has fun trying to guess who the baby is before there current photo takes over the screen. Of course, I used My Digital Studio and scrapbooked each one of their baby photos before I saved it as a JPEG to put into the video. 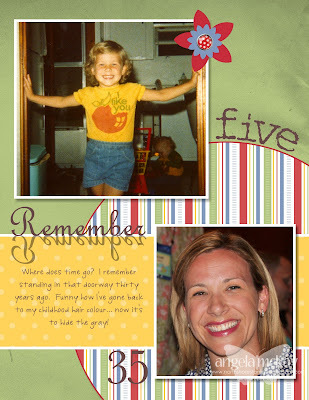 We try and mess the kids up a little and include a couple of teacher photos in there. This was my childhood photo that we put in followed by a picture from the Stampin' Cruise. This was just another play on the Seeing Doubles theme to put myself in twice:) Make sure to head over to Sarah's blog and check out her fabulous sample! In the craziness of school ending, Sean's Cancer Ride, my little incident last week, and my brother's race... my blog has been sadly neglected! I'm really looking forward to my summer crafting time to get all caught up and to play with all of the fabulous new products that are about to be released in 51 hours! Yes, you read it right... 51 hours until the launch of the new catty! Here's a last little sneak peek before I truly get to start sharing! Isn't that Textured Impressions background amazing???? Definitely my favorite so far! Believe me when I say that I will be placing my first order the minute that our Ordering System is up and running on the 1st! 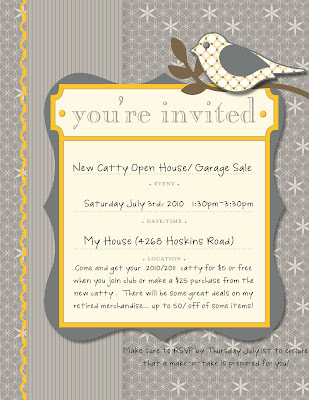 If you don't have your catty yet, make sure to attend my Open House on July 3rd and get your copy! Little Bro had a rough night, but he just finished at about 7:25am! He was 163rd overall and his girlfriend was 56th overall finishing at 2:40am! My sis ran over 20 miles in the night along side of him and another friend did another 15 miles... sick and twisted family that I have! My mom and dad were up all night driving to checkpoints to cheer him on! I watched him finish live via a live feed:) CRYING tears of joy! My brother's name is Peter Watson and he is bib #441 (currently in 122nd place overall). His girlfriend Nicola Gildersleeve is also running in it, she is bib #209 (currently 12th place female and 9oth overall). My mom, dad and sister are down there crewing for my brother...I couldn't go because my school didn't end until yesterday. I'm a proud sis right now with tears running down my face everytime I check in on him online. 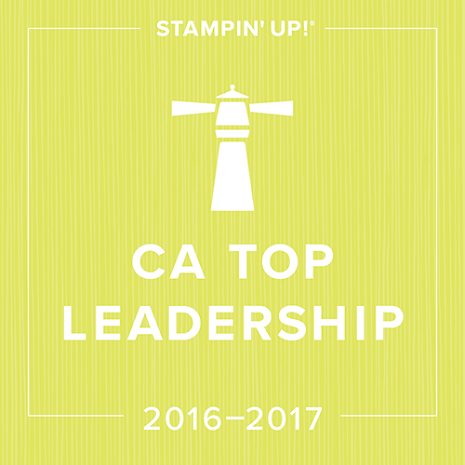 AMAZING News From Stampin' UP! 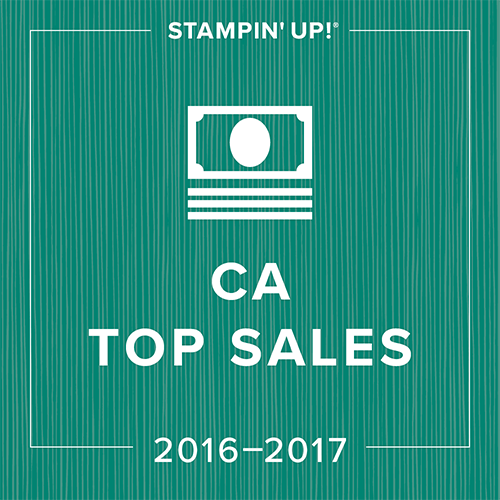 During the month of July, any former Stampin' Up! 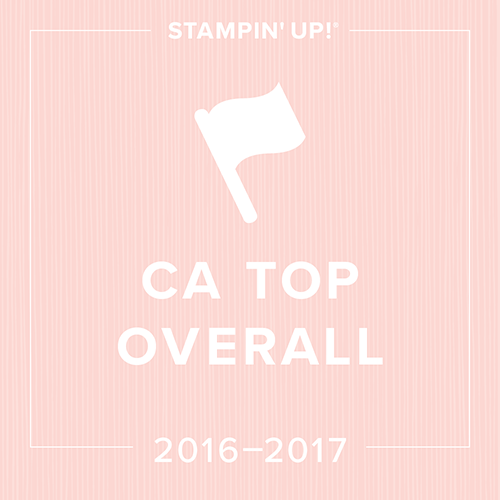 demonstrator* can rejoin Stampin' Up! for only $45.00 and I want you on my West Coast Creators Team!!! 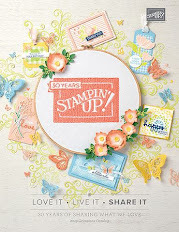 So... if you have been thinking about rejoining Stampin' Up! now is the time! As long as you are a former demonstrator all you need to do is purchase the 'Rejoin Starter Kit' (Valued at $87.01) and sign/complete a new Independent Demonstrator Application and Agreement. 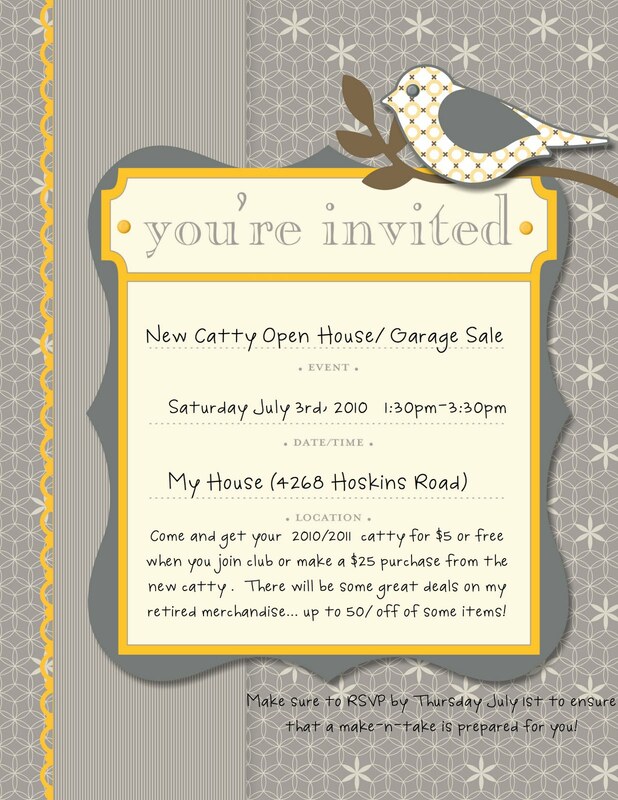 And I will look after the rest including mailing your order form to Stampin' Up! via express post. *Only demonstrators who resigned on or before March 31, 2010, are eligible for this offer. If you would like some more information on this offer or would like to take advantage of this offer and join my West Coast Creators team contact me today by phone or e-mail and we will have everything ready to go for July 1st when this offer takes place! Not a former demo but still want to join my team? Make sure to contact me before June 31st so you can take advantage of the $119.00 Starter Kit! Welcome to Stampin' Royalty's Challenge #24. This was definitely a difficult colour challenge from me. I'm definitely more of an Earth Elements person than a Bold Brights, but I will admit with the new catty, that could all change! Make sure to head over and check out all of the Stampin' Royalty goddesses' samples! 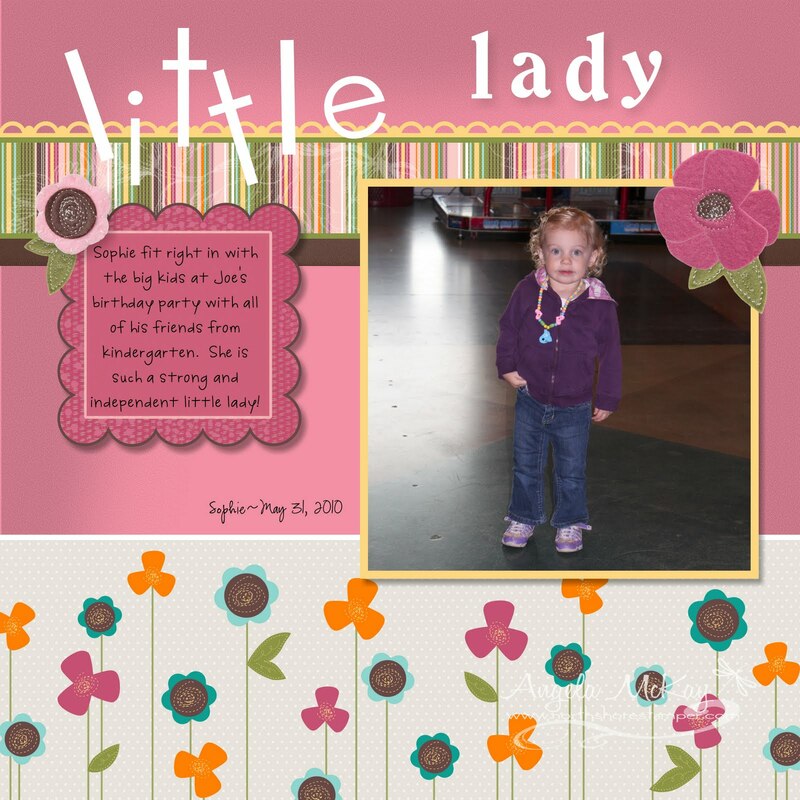 Sarah's blog has such an adorable sample! Free Class and Stamp Set! I've loved the Hello Again stamp set since the day that it came out. It is so sweet and simple. I've decided to share this love with others:) The first eight people to make a purchase of $50+ before taxes and s/h will be able to attend my free class on June 30th from 8-10pm. You will make this adorable little fancy favours box as well as 6 cards and coordinating envelopes. In addition, you will take home the stamp set FREE!!!!! I will update this post as spots disappear:) If you'd like to do this as an at home class, place your order of $50+ and I will send you the stamp set as well as the paper materials that we used to make this project. This would be a great time to grab those items that you've wanted from the Last Chance List! I had so much fun making this card... I love the images in the Sentimental Journey stamp set and the fact that I could combine it with my In a Word stamp set. I don't know if you've noticed, but if you look carefully at the word journey on the card... the "our" is in bold so that it reads Our Journey if you're into word puzzles:) Isn't that ribbon fabulous too? I was a little sad to hear that the upcoming catalogue doesn't have any Ribbon Originals packages of mixed ribbon, but I've also heard that the new ribbons more than make up for this! I thought that this would make a fabulous anniversary card for my amazing husband. We've definitely had a journey over the past nine years, this August... I can't wait to see where the road takes us next! Both the Bella Bleu DSP and the Elementary Ribbon Originals are gone in just 17 days so don't miss out! 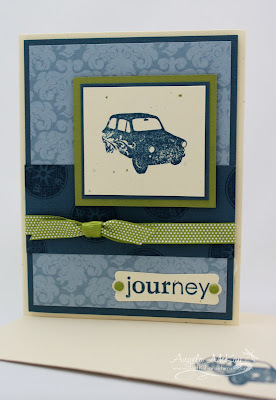 Go check out the fabulous card created by Sarah for this week's Stampin' Royalty challenge! Well.... not my parents, but the parents of my students. I was trying to design a page so that I could easily print off a photo and just adhere it to a pre-made scrapbook page. 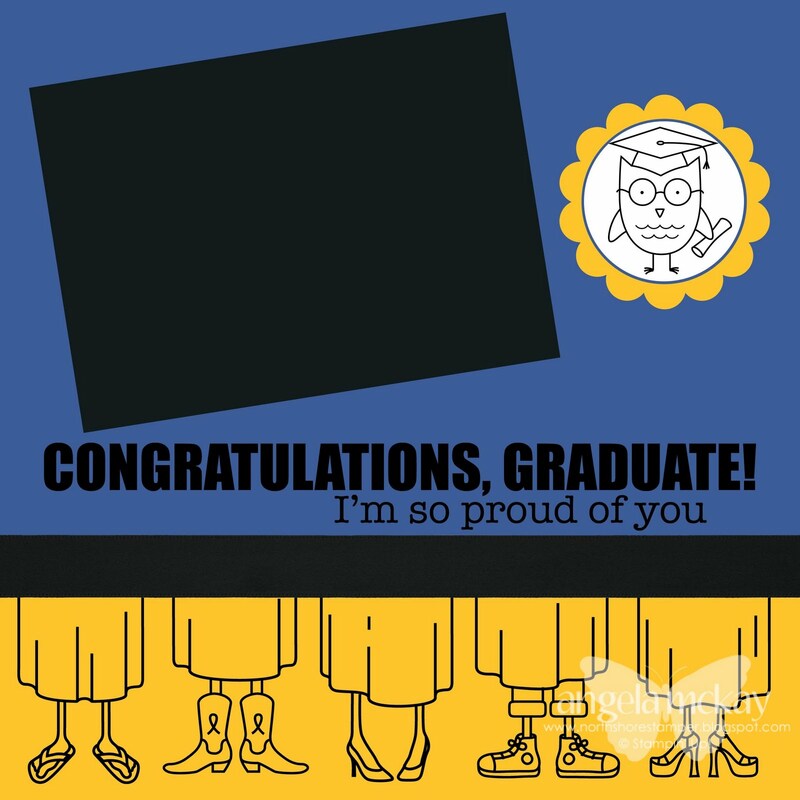 This quick page was just done using my school's colours ( Brilliant Blue and Crushed Curry) as well as the new Go Graduate Plus download for My Digital Studio. This is actually an 8x8" scrapbook page. 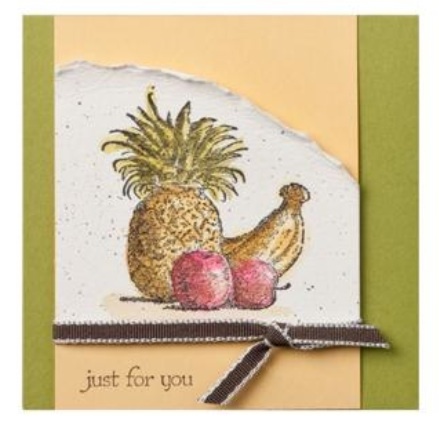 This is a quick and fun little card that the ladies attending my crop night will be making this month. It is VERY similar to one of the samples in the upcoming catty... I'm just making do with what I have until July 1st.... you should see my list! I was so relieved to see that the Pendant Notes were carried over into the new catty! Goodbye Chocolate Chip, Hello Early Espresso! WOW is all that I can say. Chocolate Chip has been my favourite colour since I found Stampin' Up two and a half years ago, but it has competition now! Early Espresso is absolutely UNREAL! I was soooooooo OVERWHELMED looking at how amazing the new catty is that I looked at the clock and realized that I left very little time for crafting. I cased a couple of cards from the new catty just so I could break into some new product! 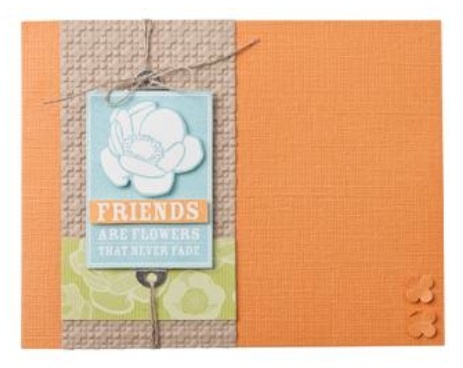 Make sure to check out the Stampin' Up Clearance Rack... there are a whole bunch of new items posted! (Once you click on my link, you need to click on Shop Now on the top right and then Clearance Rack on the left hand side bar) Unfortunately I am unable to order these items for you, but you can order them online through my website. 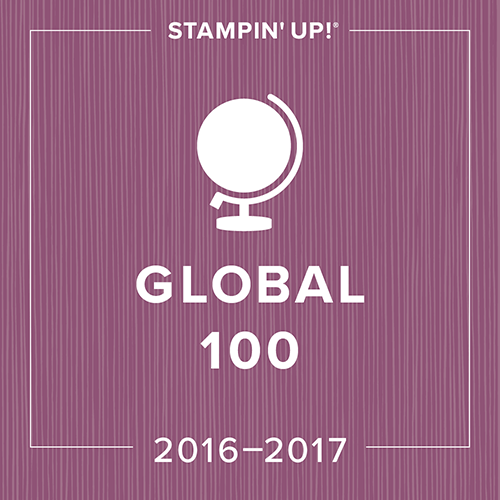 Stampin' Up just wants to ensure that these items are available to customers and when you order online, item numbers are updated immediately when they run out of stock! Remember that a $75+ purchase gets you a free Stamp-A-Stack on June 19th! How adorable is this???? I know that I'm not allowed to show you my new catty yet... but no one ever said that I couldn't recreate some of the adorable samples in it:) I changed this one up a little as I don't have the new ribbon that they used, but I do love the 1/2" striped grosgrain and I'm sad to see it leaving, so I decided to give it some love:) Do you see how rich the new colours look???? Can you spot them???? 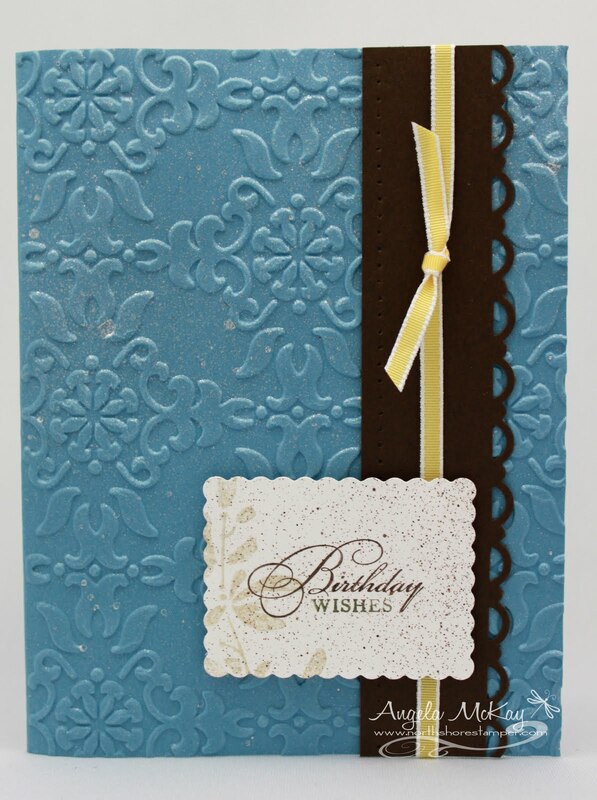 In this card I used two new colours, Marina Mist and Cherry Cobbler. It's funny how seeing a stamp set used in a new way and with new colours can make it one of your favourites all over again! Don't miss out on the retiring items (listed in red). *Please note that some items shown are not available for order until July 1st! This week's Stampin' Royalty Challenge is a Picture Perfect Inspiration Challenge! I love these... mainly because I get a kick out of seeing what everyone creates and how same inspiration can result in such a huge variety of interpretations. 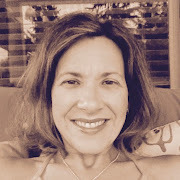 Go check out the different takes of all of the Stampin' Royalty Goddesses. Sarah and I had such different takes... I love it! 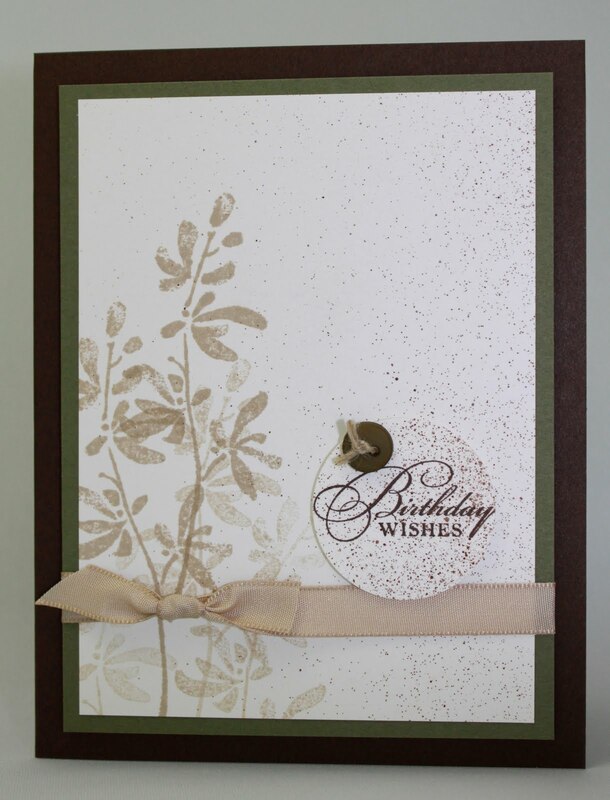 I bookmarked a gorgeous sample awhile ago that had this colour combo and print created using the Fifth Avenue Floral Stamp set. Do you think for the life of me that I can find it now????? I found it! Here it is! 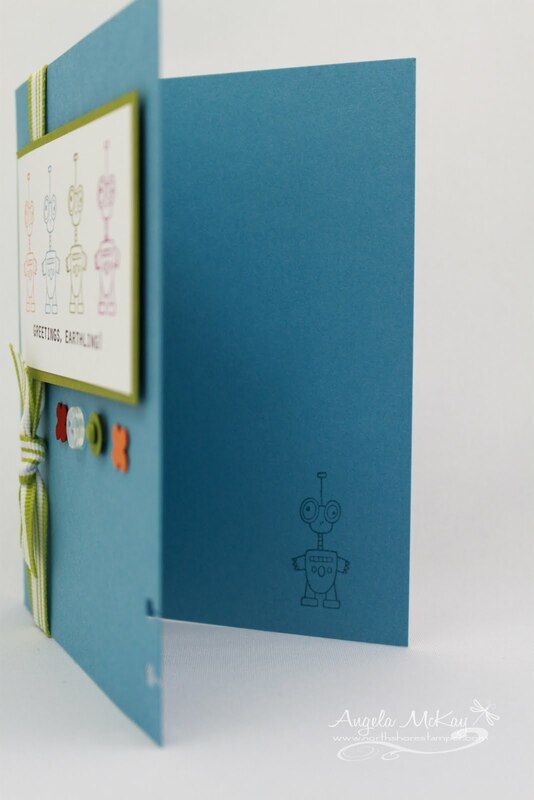 The card was a one layer card, Whisper White card, with just the background featured in the bottom half of my card. If you created that card or know who did, please let me know so that I can give you credit! Regardless, I loved the fresh colour combination. I just need more layers... so here was white I cam up with. I guess this is one of those moments where I'm sad that I'm losing some old favourites... Cameo Coral and Apricot Appeal. I know that sadness will be short lived when my preorder arrives this week! 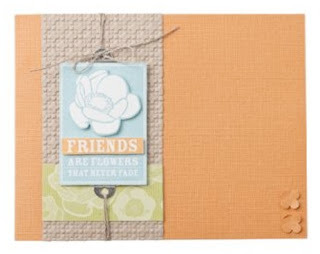 Don't forget to stamp your coordinating envelope... it is the perfect finishing touch for your cards! 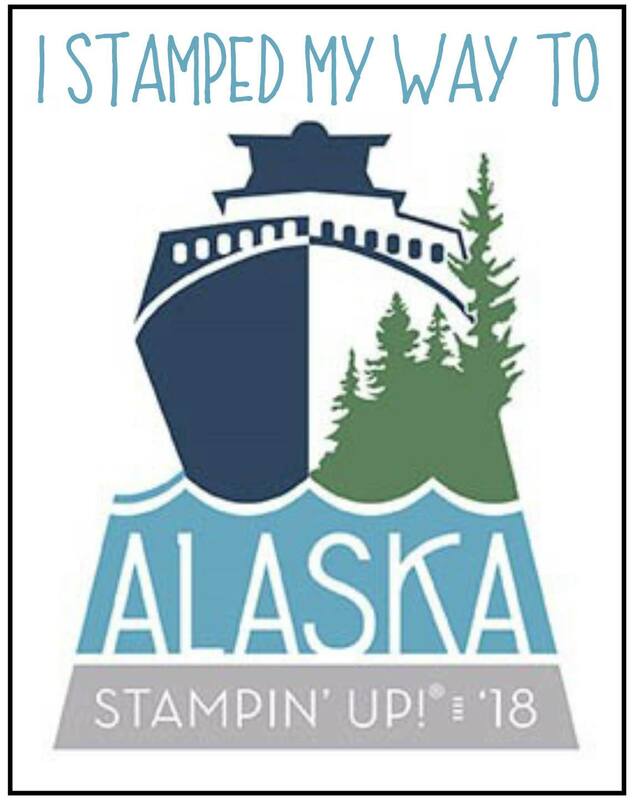 Something that I have always enjoyed is attending Stampin' Up events such as Regionals, Convention, Leadership and Founder's Circle. I will admit, however, that I always find the Make n' Take sessions at these events a little stressful:) If you saw the ferocity with which some of these women stamp you would be in awe. I am definitely an in my pajamas dancing to my music kind of stamper. For this reason, I often find myself sitting and socializing during the Make n' Take sessions and taking my packages home with me to complete. This particular project was no exception. I found this the other day while cleaning my stamp room. It is an adorable project from Convention Last Summer. The sentiment on the inside of these little note cards finishes them all off... it says , "but most of all, You!" Here's another fabulous sample created by the folks at Stampin' Up. My blender pens are just itching to get hold of this stamp set! * Please note that some items shown in this sample will not be available until July 1st. Today is my niece's 6th birthday... my sis and I had her and Joe exactly a week apart! I had so much fun making this card for Becky (aka Boodle) as she looks like a complete girlie girlie, but is the biggest tomboy ever! She has gorgeous, long, blond ringlets and huge, blue eyes, but in Joe's hockey league, she is one of the 2 girls of the 40 players on the ice. She is by far the BEST player on the ice. (and so cute in her pink Canucks jersey:) She loves skulls and crossbones so I thought that this stamp set would be perfect for her birthday card, especially with the Pink Passion eyes and bow! Here is another fabulous sample made by Stampin' Up to show off the new products being released in July. How seriously stinkin' cute is this card! I love it! 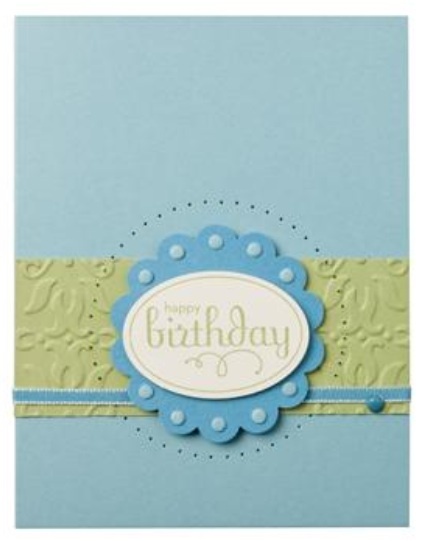 It doesn't take much to get me excited... especially when I see a card made in Baja Breeze again! Please remember that some items listed are not available for order until July 1st! This was a super fun accordian card that I made for my super adorable niece for her birthday! Happy 2nd Birthday Sophie! If you love that ribbon as much as I do, make sure to check it out on the Last Chance Accessories List...I guarantee that this one won't be available for long! Well, my Demonstrator Pre-order from the upcoming BIG catty is on its way! The suspense is KILLING me! I've decided to share some fabulous samples made at Stampin' Up with you for the next few afternoons. This way, you can get as excited as I am for the new stuff to arrive. I'll try and keep up with my morning posts of my creations too for these days so you may have to check back twice! Some of these fabulous creations will be shown at my workshops scheduled in July/ August. Make sure to contact me early to book your workshop! I realized yesterday how close we are getting to July 1st. Unless you live in Canada, you're probably wondering why I'd care about that... well it's Canada Day... and a holiday! Yipeeee!!! This new stamp set from the Summer Mini is absolutely adorable. I love the little firework stamps... you can see them on the envelope as well as on the red portion of the card if you look closely. My amazing husband is hoping to participate in the Ride to Conquer Cancer on the weekend of June 19th. For any of you who know Sean you would understand his passion for this cause. Sean lost both of his parents to cancer at the extremely young ages of 57 and 61. In order to participate in this ride he needs to have fundraised $2500 to go towards Cancer research. 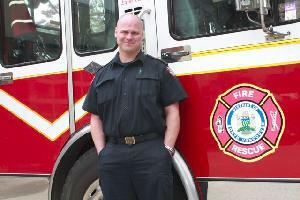 He is working hard and would greatly appreciate help from anyone out there who is able to donate. I am including the link to his home page! You are able to print off your tax receipt when making a donation. Thank you... any little bit helps! This super quick and easy cards were a CASE from the fabulous Jill Hilliard. 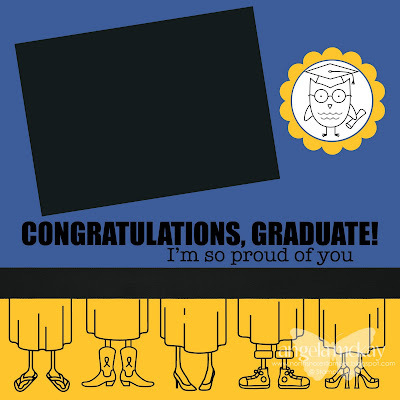 I needed something easy to make as I needed congratulations cards for the grade sevens who win academic, athletic and citizenship awards at the year end assembly. The Pumpkin Pie combo is for the boys and the Cameo Coral Combo is for the girls. I love how quick and easy these were to put together! This stamp set is a MUST HAVE! Stampin' Royalty Challenge #22 "Jazz It Up"
I love the challenge for this week at Stampin' Royalty. The challenge is to "Jazz It Up". The idea is to take an old project and make the changes that came to you after finishing. You all know what I'm talking about. How many times have you finally finished adhering everything only to think, "oh... I should have paper pierced there or added a scallop border there or popped that up". With the first card, I just didn't have the luxury of adding, I had to complete 30 cards for my class for my year end goodbyes. When I looked back at it, all I could see was things to add to make it more beautiful. I love the DSP and I felt like I hadn't done it justice. So, I started again with the same layout and colours and this time I added in all the details that I thought I missed the first time around! What do you think? I can't wait to see what everyone else comes up with! Make sure to check out the fabulous samples by the other design team members. Sarah's is sooo cute! Order or Join Now... Free Stamp-A-Stack Later! Just to let everyone know that I have a special on from today until June 12th. Place an order of $75 and get a free Stamp-a-Stack*! Orders of $150 qualify for two places and so on. Join my West Coast Creators Team during this time period and come to the class for free as well! We will be making 12 cards and coordinating envelopes. There will be three designs and we will be making four of each card. *I will add an additional 10am-12pm if necessary! *Club Orders are excluded from this offer.